What do overalls, glittery ankle socks, and frosty lips have in common? Well, aside from the ability to induce nightmares of our junior-high-school days, they've all been given a grown-up revamp over the past few seasons. Overalls are now cut to flatter and styled with crop tops; ankle socks are suddenly modern when paired with open-toed flatforms. Be still, our (tween-loving) hearts! Now, by the looks of what the style setters wore at the spring/summer 2016 Fashion Week shows, the next thing to get an adult makeover is the headband. The new iterations of this youthful staple span from fancy bejeweled bands to lace-covered wraps and even minimalistic strips of leather. But the key to wearing a headband isn't so much the style itself, rather how you style your hair with it. 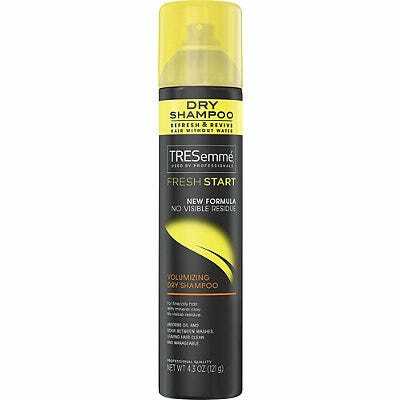 Get the full rundown with TRESemmé hairstylist Tyler Laswell here as he makes a case for pairing your topper with second-day hair and a generous spritz of volumizing dry shampoo at your roots to freshen up your strands. Get ready for a walk down memory lane. From expertly styled bangs to grown-up headbands, the hair trends we saw at the spring/summer 2016 shows deserve more than just a week in the spotlight. So to get a closer look at some of the best styles from Fashion Week, TRESemmé is giving us expert breakdowns straight from its pros backstage. Watch and learn — you'll want to try these looks long before spring.